Imported by : Hawley & Hazel Marketing (M) Selangor, Kim Teck Cheong S/B KK Sabah, Popular Trading (B) Sarawak. Ingredients : Dicalcium Phosphate Dihydrate, Sorbitol, Glycerin, Dicalcium Phosphate, Sodium Lauryl Sulfate, etc. 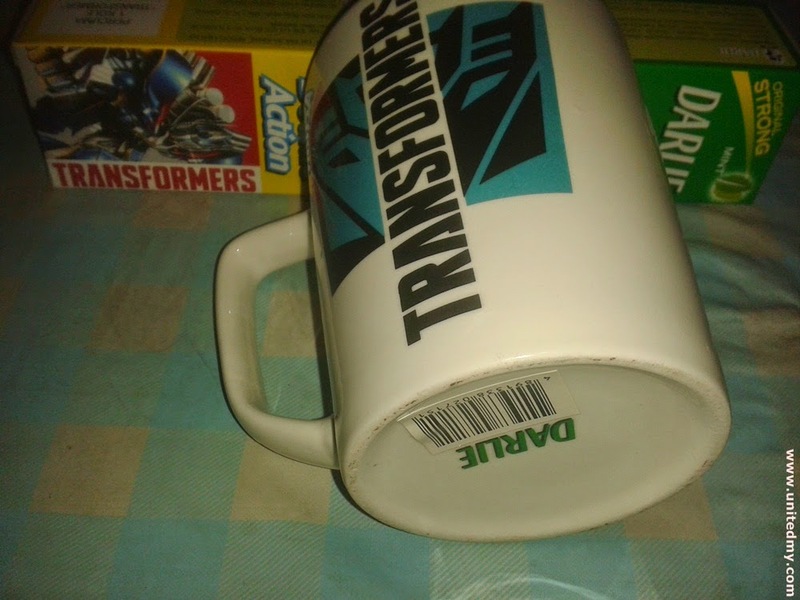 While waiting for the release of Transformers 4 movie, let take a trip to purchase Darlie toothpaste and get a free Transformers imprinted cup. You will need to but two Darlie toothpaste priced at RM16.00 in local market. Wait no longer as the Transformers cup is limited edition. 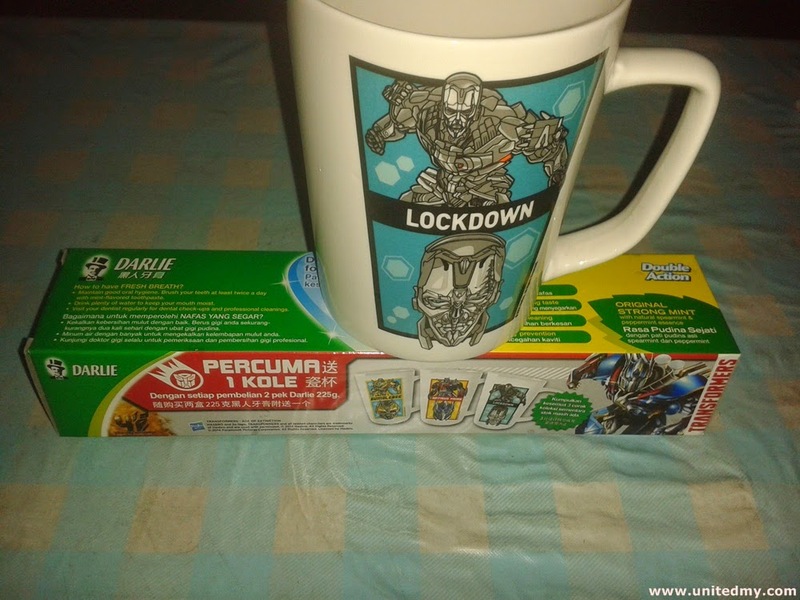 Darlie Malaysia made the Transformers cup is under the license of HASBRO and its logo. They have acquired the permission from HASBRO to made this cup. It is not like every toothpaste maker out there such as Colgate had the right to make Transformers cup. There are 3 different Transformers cup giving out by Darlie. They are Bumblebee, Optimus Prime and Lockdown. The image you have seen above is Lockdown. It is unsure whether Lockdown will be the bad robot fighting Optimus Prime who is the defender of the human kind and earth. Previously, Darlie Malaysia had given out many types of cup but Transformers cup will be first of it kind. Besides, Darlie had organized a contest giving out free ticket to watch new Transformers movie in this end of June. Who do not like free items right ? It might be one of the way Darlie Malaysia thanks it loyal consumers years of support. This cup is not the first one I got from Darlie.